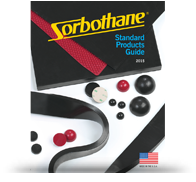 Sorbothane, Inc. believes in building an environment where associates can meet their potential and thrive in an atmosphere of teamwork. A well-trained, dedicated and talented team is necessary in the development and delivery of products that meet and exceed customer expectations. We believe in the well-being of employees and their families and offer competitive compensation and superior benefits. Please fill out the form below to contact the Human Resources department at Sorbothane, Inc. If you're applying for a position, please email careers@sorbothane.com separately with an attached resume. MACHINE OPERATOR - Full Time Position Available. If interested please fill out and submit the form below.